This is a marketing plan I made for my friend Nina Mascheroni’s up-and-coming apparel brand, Nina Mascheroni. Nina Mascheroni is an up-and-coming womenswear designer launching her label out of New York City. Her clothing falls under the ready-to-wear category in the moderate to contemporary price range. Her clothing has the characteristics of easily being able to transition from day to night for the everyday woman on the go. The clothing is geared towards the creative professional and educator who has creative freedom with her wardrobe. Nina Mascheroni is in the apparel industry, which means the industry tends to lean towards specific types of marketing over others. The brand will be primarily promoted by word of mouth, critics and bloggers. However, traditional marketing will include a website that will contain both merchandise and a blog that will build a relationship with customers by not only promoting the clothing, but the lifestyle of the brand as a whole. More innovative techniques for this brand really focus on direct-to-consumer. This includes really focusing on the brick-and-mortar store, the shopping experience and customer interaction. This will increase brand exposure and brand loyalty, as the customer will be able to experience the brand first-hand, independent of screens. 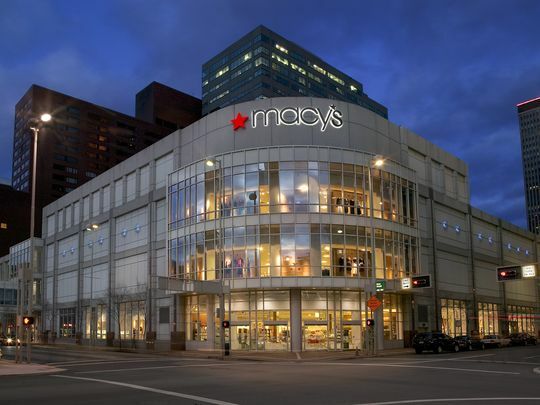 Nina Mascheroni will not only have a stand-alone store, but will also partner with larger retailers in the contemporary to moderate price range, such as Macy’s. Additionally, Nina Mascheroni will utilize omnichannel retailing by having an online store in addition to a brick-and-mortar location. This will be beneficial in reaching all customers in her target market. 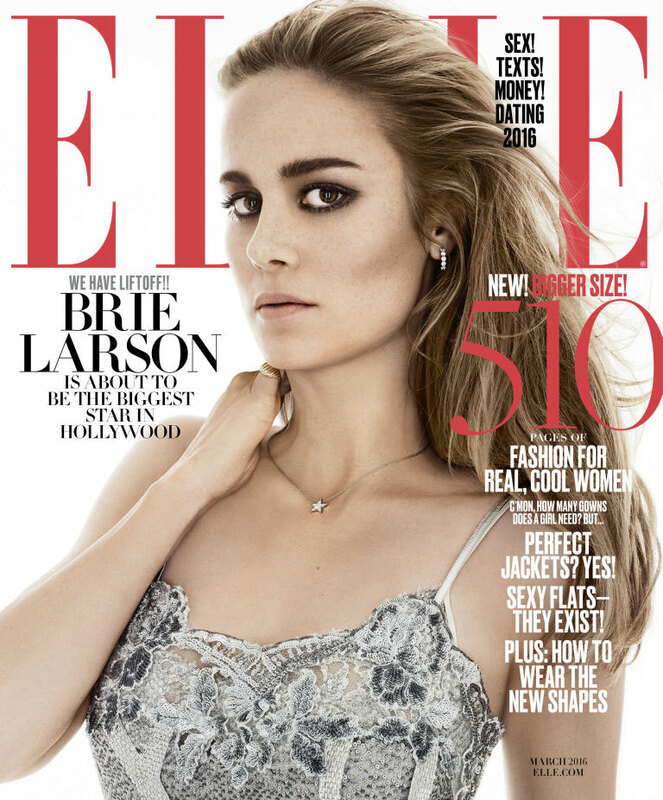 Like most fashion brands, exposure will also be gained through print advertising in consumer-focused magazines such as Elle and Marie Claire who focus on career and power women, and on major social media platforms. Customers will be retained by the merchandise itself; the merchandise with silhouettes that flatter all body types at an affordable price point that can be worn by the everyday woman. That alone creates brand loyalty as it is a brand who delivers a reliable product. Nina Mascheroni is a womenswear brand based out of New York City. The brand was founded in 2016 and focuses on designing for the everyday woman on the go. The brand is a modern day contemporary fashion brand, offering pieces at two different price levels, moderate and contemporary, to reach the entirety of the brand’s demographic. The clothing in the brand is also aimed to fit all women. Nina Mascheroni is a Colorado native and graduated from Colorado State University in the spring of 2017 with a B.A. in apparel design and production. Mascheroni is interested in fashion as an art form, often incorporating artisan techniques, such as weaving, dyeing and screen printing into the designs of her clothing. Mascheroni is new to the fashion apparel marketplace and needs to put a marketing plan in place to help build her company and customers. Through a combination of traditional marketing techniques and direct-to-customer techniques, Nina Mascheroni will stand out in the apparel industry as an up-and-coming company to watch. The demographic profile is comprised are women ages 18-45 living in large cities across the world. Their average income is between $30,000 to $100,000. This includes women across Generation X, Millennials, and Generation Z. These women can range from being in the bachelor stage to newly married couples. These women also dwell in primarily urban areas. These women are working professional who work in an environment where they can express themselves through their attire. These women are in careers that range from creative professionals to educators. Her target woman is always on the go, going from work to out with friends on weeknights and is barely home on the weekend. This woman is not afraid to express herself through her clothes and prides herself on having a unique and appropriate wardrobe. She is a patron of the arts, going on city adventures and trying new things. This type of woman is sophisticated and professional, independent, diverse, and practical. The clothing in this line is geared towards transitioning from day to night to weekend. The clothing is for professionals in non-uniformed workplaces who can mix and match these pieces with pre-existing basics in their wardrobe. The pieces are statement pieces that that can either be worn together or separately. These pieces are transitional across times of day and across all seasons. They are meant to be practical yet effortless for working women who need as much function as they need form. The main pieces in the line are outerwear pieces complemented by dresses, blouses and skirts that can be used to layer underneath the outerwear. There are minimal accessories, such as scarves, used to accent the looks. The pieces have interesting silhouettes take a traditional piece and give it a fresh twist. The garments are either fitted or boxy with an emphasis on the female form. These pieces are classic yet edgy. They are made with eye-catching fabrics in bold colors with interesting patterns. The pieces are structured with volume and modern. These clothes are more consumer focused rather than editorial focused with emphasis on the idea that they are in the ready-to-wear clothing category. The clothing silhouettes are so universal that all women can wear them, not just women who are of sample size, which makes this clothing adaptable. The clothing also matches many women’s personal styles, offering something for everyone. They allow women to stand out and be expressive in their own urban jungle. The clothing in this design line fall into the moderate and contemporary price point. In the fashion industry, that price point similar to brands such as Levi’s and Zara. The majority of modern sportswear falls under this category. The dresses, skirts, shirts and tops will fall under this price category. However, the jackets in this line will fall under the contemporary price point, among the likes of Bisou Bisou and Betsey Johnson. This type of pricing is the newest in styling being avante garde and trendy. This type of clothing is geared towards a younger and more fashion forward audience. The pricing of these garments will help them fall under their respective price categories. For example, the price of a top in this line can range from $30-$80; pants can range from$50-$100; dresses and skirts can range from $40-$120. In terms of outerwear, which falls in the contemporary price point, prices can range from $150-$200. These garments are also priced based on the cost of the materials used to make each piece; the outerwear is made with higher quality fabric such as wool, therefore being priced much higher than a shirt that is made from a cotton or a jersey. 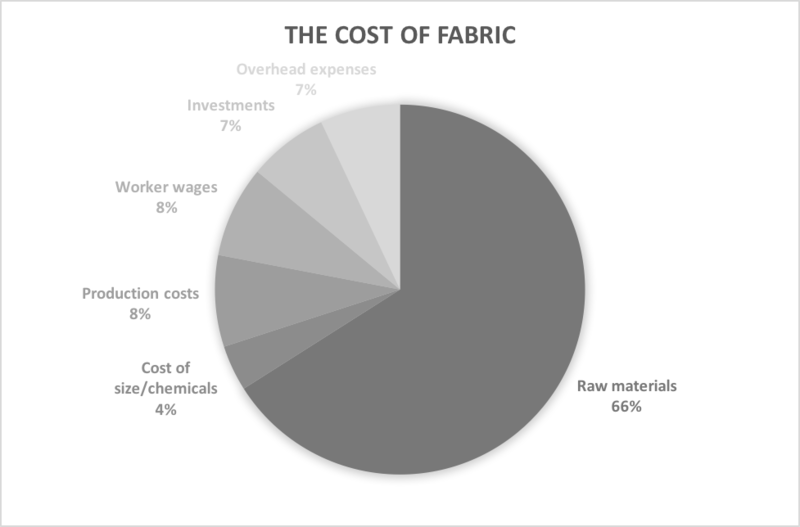 When costing out a garment, 66 percent of the total cost is the cost of the raw material. Factors that influence this are the gram/sq. meter of the fabric, the count of the yarn and the type or fiber. Cost of size and other chemicals makes up 4 percent of the total cost. This includes weight, shade, length and width. Next comes production costs, comprising 8 percent of the costs. This includes spinning and weaving the fibers into yarn. Worker wages make up another 8 percent, followed by investments at another 7 percent. The last direct cost to the cost of a garment at wholesale is overhead expenses at another 7 percent. In addition to wholesale, there is markup that is taken into account by a retailer to achieve the final retail price. The garments in this line will be distributed using an omnichannel retail method. This type of retail method uses a variety of channels in the customer’s shopping experience from researching a product to purchasing a product. This approach is very consumer-centric, focusing on aiding the customer in their shopping process. Omnichannel retailing focuses on various engagement tools and a seamless approach through all accessible shopping channels. This can include mobile internet devices, computers, brick-and-mortar stores, catalogue, direct mail and many more. This method allows retailers to reach customers across all channels, no matter what channel they choose to shop. Improvement in customers’ perception and satisfaction: More and more millennials are taking advantage of onmichannel retailing, expecting a flawless transition between online and brick-and-mortar shopping. If this process is not simplified, customers will simply move on. Improving sales: Omnichannel retailing allows for customers to make a purchase from wherever they please. This gives retailers insight into customers’ favorite channels. This can provide convenience to the customer and increase the buying opportunities for various products offered. It can provide customers with a wider selection and numerous ways of accessing that product. Higher margins: Omnichannel retailing can allow for retailers to sell products to anyone across the nation at full price as it provides an effective and efficient online and offline sales framework. Building brands: Retailers having brick-and-mortar stores while offering their products online find it less demanding to control and regulate pricing power as well as sales volume. Physical stores enhance the brand value of the retailers through their noticeable presence. New income streams: Onmichannel retailing has allowed for various retailers to develop and generate new revenue streams buy providing innovative and easy ways to implement payment infrastructure to small enterprises. Better data collection: Visibility across multiple channels allows for a more personalized experience. Retailers can track their customer over different channels and note their preferences to serve their consumers better. This allows retailers to gain additional insights into how they can persuade customers to engage shopping on other platforms other than their chosen channel. Enhanced productivity: Onmichannel retailing allows store associates to have tools that expand their access to information and promote efficiency. This can include technology such as tablets or card readers to make transactions instantaneously. Efficiency can help to build customer loyalty to improve retention and productivity. Nina Mascheroni can use a variety of different channels to sell products. The primary channel will be brick-and-mortar retail so customers can have a physical sense of the brand and be able to connect with it on a personal level. Additionally, this will allow customers physical interaction with the products so they are able to feel the materials and try them on. 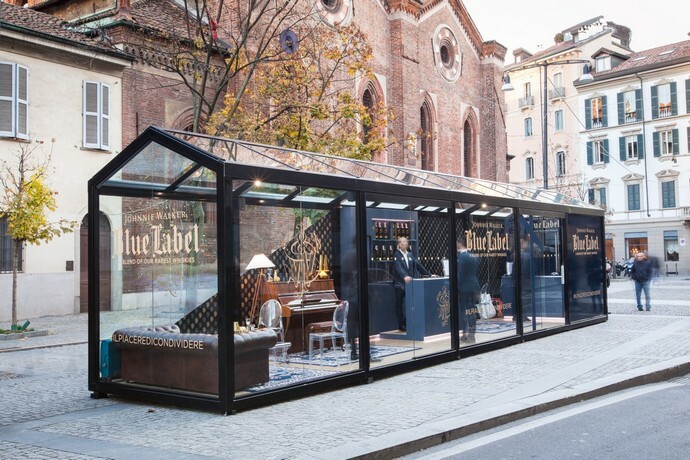 In addition to a brick-and-mortar store, the brand will also utilize an online webstore to promote both the feeling of the brand as well as the products themselves. The company can also implement a catalogue of their products at the beginning of each season that stands more as a look book for the new collection rather than for purchasing products. Nina Mascheroni Designs is a fashion brand, so the offers come far and few between. The offers that this plan can offer are markdowns at the turn of the seasons, when old merchandise is on clearance to make room for new merchandise. This can be implemented in the form of a 75 percent markdown, similar to what brands such as Kate Spade do when they incorporate new merchandise lines either at the beginning of the season or special lines for the holidays. The brand can also implement a trunk show, where merchandise is shown to a select group of customers before the public sees it. This can create buzz for the merchandise and the line by allowing press as well as investors to get a first look at the merchandise. Nina Mascheroni is going to implement a variety of different marketing materials to promote the brand. The brand will implement both digital and traditional marketing materials. That being said, fashion brand marketing materials are very limited; the emphasis is more on the promotion of the clothing and the brand via word of mouth by critics and bloggers. Website: This will allow for the brand to have a web presence, with a link that can easily be shared among their customer base. This will also offer another method of retail for customer to shop for the pieces in this brand. The website can also emphasize the look and feel of the brand while also being used as a communication tool. The website would be responsive in order for it to be accessed on both desktop and mobile screens. Catalogues: As a fashion brand, Nina Mascheroni can use catalogues to promote their clothing. 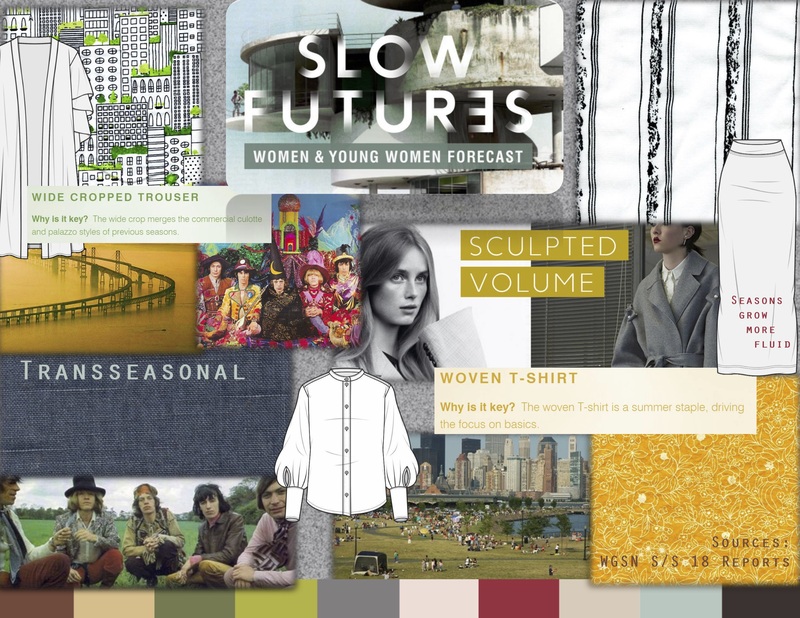 Modern catalogues function more along the lines of look books, offering a better sense of what exactly the brand values and their characteristics. Catalouges also give a glimpse into the theme and looks of the upcoming season, giving customers an idea of what to expect from the brand. These can be mailed out to anyone who falls under the main demographics of the brand. Fashion brands are unique in that they can implement a number of promotional activities ranging from social media promotions to pop-up events in major cities. Social media: Circulating a brand-wide hashtag will help to reach the target market of the brand, women ages 18-45, to be a part of the conversation and post a photo of themselves wearing Nina Mascheroni on Twitter or Instagram. This will be effective in growing the brand by emphasizing brand values of self-confidence and adapting the clothing to one’s own personal style. Social media is especially well-used among this demographic so it would definitely be a way to promote the brand. Print advertising: Fashion brands still invest in a major print ad campaign each season that is picked up by major national magazines. For this brand specifically, focusing a campaign in consumer-focused magazines as opposed to industry specific magazines will better reach the target market as the women who wear the clothing are everyday career women who need practical clothing. Examples of these magazines would be Elle or Marie Claire, who focus on career-driven, powerful women. Press release: A press release would be essential at the launch of the first collection of the brand to let major media outlets as well as bloggers aware of the new designer and what they have to offer the marketplace. This press release can be sent to magazines and other news outlets to be able to write a brief or a features article about the brand for some positive public relations. Event marketing: Fashion brands thrive off innovative event marketing such as pop-up shops or other themed events that promote the brand. Nina Mascheroni can thrive off event marketing as it will connect customers to the brand in way that is focused more on the shopping experience rather than on the transaction. This can help build relationships and brand loyalty between the brand and the customer. Blog: The website will have a section that is dedicated to a blog, where the company can post updates, or post content that is relevant to the industry or the client base. This will help the brand reach with its customers in a way that is not solely about trying to get them to make a purchase. Email Newsletter: There will be an option on the website for an email newsletter for customers to sign up for. This will be at a once a week frequency and include news from the company including collection launches, sales promotions. The newsletter will be more of a lifestyle-based newsletter rather than solely a promotional one so customers are more likely to read it rather than delete it. The frequency is appropriate as well so customers do not feel overwhelmed by the amount of emails they are getting. Keyword Strategy: words include ready-to-wear, young, modern, versatile, transitional, contemporary, creative professional, everyday woman, fashion. Search Engine Optimization Strategy: On the blog portion of the website, all of the posts will be tagged appropriately. In addition to being tagged with terms relevant to posts, they will also be tagged with the above terms to increase the visibility of the brand on major search engines. Paid Online Advertising Strategy: The fashion industry relies heavily on visual advertising. The bulk of this advertising is done in the form of large print ads in major fashion publications. 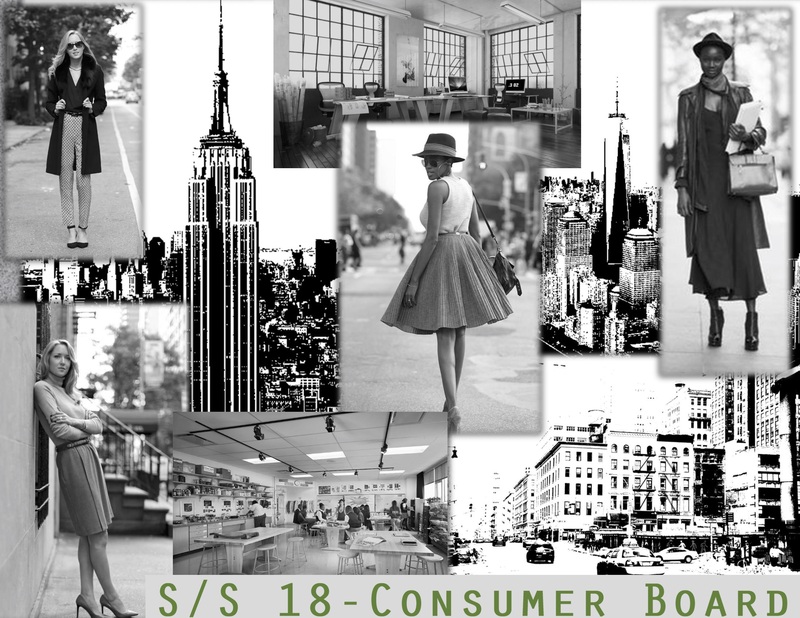 The rest is done online in the places these brands choose to partner with, whether it be their own stand-alone store, or in a store like Nordstrom or Macy’s. Since Nina Mascheroni is a moderate and contemporary designer, their ads will be featured on the websites of the publications they have print ads for (Elle, Marie Claire) as well as potential retailers that sell contemporary to moderately priced clothing (Macy’s, Nordstrom). This will increase visibility not only for current customers of the brand, but also potential customers who already shop at these retailers and read these publications. Social Media Strategy: The social media strategy is really dependent on the type of platforms this company chooses to utilize. Facebook, Twitter and Instagram are a must for this company to pursue. On each of those platforms, it would be ideal to implement a hashtag – #UrbanJungleStandOut – to tag the brand on social media. In today’s retail landscape, it is really important to connect with customers in-store as opposed to online by providing a unique in-store experience. Hosting in-store events will increase brand exposure and increase revenue for the brand. Hosting in-store events in a stand-alone store, or a partner store, will expose customers to the brand and the clothing and not just make it a brand that is an online-only brand. These events can be highlighted on the brand’s blog on the website, in addition to bloggers who attend these events. This will get the brand the most amount of positive press and exposure. It is beneficial for new fashion brands can either choose to show and sell their collections in a stand-alone store, or in a larger retailer alongside many other brands in their same price point. Partnering with a retailer is a huge advantage to any designer because it can potentially attract customers who already shop at that retailer to the clothing of their brand. For Nina Mascheroni, in addition to having their own store, it would be ideal for them to place their merchandise in stores that are in their specific apparel price point, such as Macy’s, a retailer that sells both moderate and contemporary-priced merchandise. This method would help to increase brand exposure by exposing the brand to not only customers of Nina Mascheroni, but customers who shop Macy’s who would be interested in Nina Mascheroni. Additionally, by having the brand in a store like Macy’s would allow for specific in-store events to gain exposure as well and interact with the customers in order to facilitate a purchase. For this company in particular, a strategy for increasing transaction prices can be sought at the design and manufacturing level with the use of more expensive and better quality materials in the garments. This will increase the wholesale price of the garment, and when added the same markup, will increase the price of the garment. By changing the price of the garment, it will be changing the category of apparel in which it falls into. This could result in selling the clothing in different retailers who sell much higher-priced merchandise such as Nordstrom or Saks Fifth Avenue. This strategy will not be effective until the brand begins to seriously grow and rake in a profit. This delay will help the brand to be recognized in the apparel marketplace and gain its own group of loyal customers. The primary way to retain customers for a fashion brand is by releasing new and innovative collections in the fall and the spring. This will continue cause a “buzz” for customers over the clothing and keep them purchasing clothing. The clothing in this collection is versatile enough to appeal to a wide range of audiences, with the silhouettes of the clothing able to fit many different body types. This characteristic alone draws customers in because they know if they go to this brand, they will find whatever they are looking for. Another way to retain customers is by having them sign up for the brand’s email newsletter on the website or in store. This will give customers an exclusive look at new merchandise and sales promotions. The newsletter will be more of a lifestyle-based newsletter, featuring other topics other than just merchandise and sales to draw customers in. This will also be sent out once a week so customers do not feel like they are overwhelmed by the amount of emails they receive.